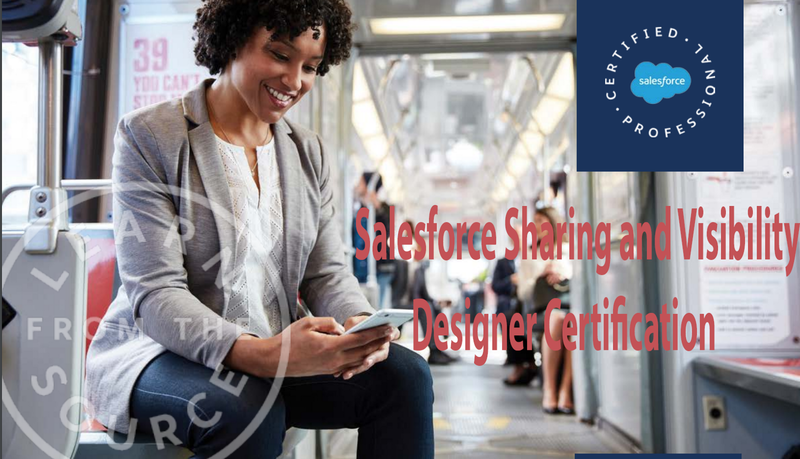 Recently I have cleared Salesforce Sharing and Visibility Designer Certification, my first certification on Salesforce new Architect track. This is really a good Salesforce certification exam so far, The exam mostly focuses on Profiles, Roles, OWD, Sharing Rules, Salesforce licenses, Permission Sets, Apex Managed Sharing, Record Locking related issues, Territory Management, Communities, Account & Opportunity Teams. If you have work on these topics than it is very easy to clear this one. Salesforce Sharing Architecture PDF — Very useful to walk through the salesforce sharing architect. Sharing Options In Communities — Complete guide on Salesforce community sharing options. Salesforce Shield Platform Encryption — How Encryption works in Salesforce and what are different industry standard used. Under The Hood — Record-level access guide by Salesforce. Designing Record Access For Enterprise Scale — Record Level Access Guide for Large Data/Enterprise by Salesforce. Enterprise Territory Management — About the Sharing and visibility while implementing territory in Salesforce. Using Apex Managed Sharing to Create Custom Record Sharing Logic — Sharing via Apex.